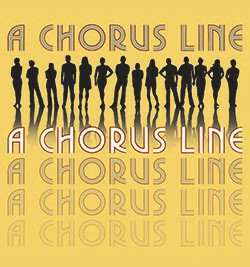 One day in the lives of seventeen dancers, all vying for a spot in the "chorus line" of a Broadway musical. Winner of the Tony and Pulitzer Prize! Reduced priced tickets Thursday. 8pm Thursday - Saturday, 6pm Sundays. Adult language and content. All sales final, no refunds. Tickets may be exchanged for the same show, different date only. Based on availability and 24 hours notice must be given to the box office prior to original ticket date plus $5 per ticket exchange fee. 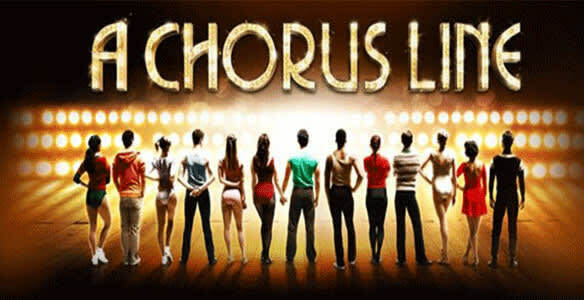 Chorus Line examines one day in the lives of seventeen dancers, all vying for a spot in the “chorus line” of a Broadway musical. After the first round of cuts, Zach, the director and choreographer, asks each dancer to speak about themselves. Discomfort opens into revelation, confession leads to redemption, and within the bright, outwardly homogeneous chorus, the audience begins to see each dancer’s individuality. From Cassie, the star who just needs the “music and the mirror and the chance to dance,” to Val, a small-town girl with a brand-new big-town body, to Mike, who took his sister’s place in dance class, saying “I can do that.” Based on real Broadway dancers’ stories, as told to fellow dancer and choreographer Michael Bennett, A Chorus Line is funny, heartbreaking, and refreshingly honest. Winner of the Tony Award and Pulitzer Prize.